Stotfold is a small town in Central Bedfordshire with a population of over 6,000 located where the A1 joins the A1 (M). The area offers a variety of both modern to brand new homes and older character properties too. The area is ideally located providing access to Arlesey train station which offers a car park and a bus service for those needing to commute. Country Properties support Stotfold Mills annual Steam & Country Show in May each year. The mill is the remaining mill of one of four that were mentioned in the Domesday Book from 1086. It was fully restored and reopened in 2006 after burning down in 1992. The Country Properties office is situated in a prominent position in the heart of Stotfold with the largest window display to promote your property to the local market. The office is open 7 days a week and our friendly local staff are always on hand and happy to help. The dedicated team is managed by Heather Curtis supported by her all female team Natalie Luck, Katie Wallis, Jo Dalton and Helen Hicks. Working together as a team there is no end to what they can achieve. They take pride In the marketing of the homes they sell to achieve the best price for their vendors, help find buyers their dream home and make the overall process as stress free as possible. The office also has a dedicated team for residential lettings and property management. 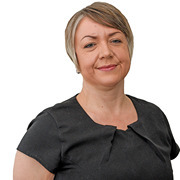 Tracey Bush, Debbie Brown, Gill Lee and Sharon Lilley utilise the same marketing tools that the sales team use, meaning they can successfully locate and secure the best tenants for the landlord, as well as maintaining the properties and finalising the property accounts. Dealing in lettings only, means they are specialised in this field. The whole Stotfold team ensure vendors, buyers, landlords and tenants alike are offered a professional and friendly service providing valuable in depth knowledge of all aspects of the property market. Heather, the new branch manager is incredible. I cant say enough good things about the quality of service of service we have received with this estate agent. Just when id started to give up hope with my last agent I met Heather! My house sold on the first viewing and the confidence and support during and after the sale from the whole team is second to none! Highly recommended! A great team of people in the office who were helpful from the start and right up until the end. Everyone knew what they were doing and acted professional at all times. Highly recommend them when it comes to selling your property. Just like to say a big thank you for all your support and re assurance you gave me over the last couple of months and for ringing my solicitor when I was too scared!! Heather joined the team at the start of 2018 and has been in the industry since 2000. She has a passion to help people move and find their dream home and make the move stress free as possible. Heather takes pride in the marketing of the homes that Country Properties sell and feels this is very important to achieve the best price for her vendor and most importantly the most in their pocket at the end of the move. Natalie joined the Country Properties network in 2012 bringing a wealth of skill and experience with a career history spanning over 21 years in Customer Service, she has a passion for photography and a keen eye for detail making her a valuable asset to our team, she currently lives in nearby Letchworth Garden City with her family. Katie joined Country Properties in 2011, her friendly bubbly personality make her a fantastic member of staff. Katie’s knowledge of the industry and her ability to follow processes and procedures accordingly mean she can make your transaction as smooth as possible. 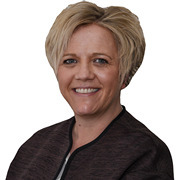 Jo joined Country Properties in 2008 and has progressed from a weekend sales negotiator, to administrator and now to a full time sales negotiator. Her goal is to make sure she achieves the best possible price for you and help your move go as smoothly as possible. She always has the sellers best interest at heart. 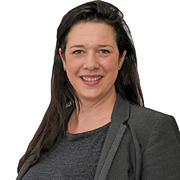 Helen is a valuable addition to our team, she grew up in Langford and has lived locally all her life, currently residing with her family in nearby Shefford. 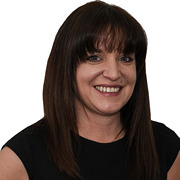 As well as excellent local knowledge Helen has a sound background in sales and customer service spanning some 10 years before joining Country Properties in 2009. Stotfold offers a good range of local facilities including a doctor’s surgery, dentist, post office and Co-op. There are lots of lovely countryside walks nearby, including around Stotfold Mill where there is a tranquil nature reserve for peaceful days out. Fairfield Park is situated on the edge of the Hertfordshire and Bedfordshire border, within 100's of acres of parkland. There is an outstanding lower school within Fairfield, a Tesco convenience store, hairdressers, dry cleaners and Bannatyne's gym and spa along with The Orchard restaurant. There is a thriving community within Fairfield with many local events and gatherings to enjoy. Next to Stotfold is Arlesey that benefits from a train station and has a 'good' lower school and a well-regarded nursery. The nearby village of Henlow is a well-regarded and popular location in Bedfordshire, situated near the border with Hertfordshire and surrounded by lovely countryside. The village has a good range of local facilities, including 'good' rated lower and middle schools, a lovely local deli and village post office and the highly regarded 'Champneys'. Langford village has helpful local facilities, including two general stores, a farm shop, post office, pharmacy, doctors, a garden centre and lots of lovely country and riverside walks. These villages offer the best of country life, whilst also being close to local amenities. Stotfold and these surrounding areas all offer excellent transport links to London at either Arlesey, Hitchin or Biggleswade train stations, as well as easy access to the A1(m) plus popular shopping and leisure facilities in the nearby larger towns.